The clocks go back on Saturday 25th October and the Government’s Fire Kills campaign is once again reminding people to test their smoke alarms at the same time. As well as running a high profile campaign each time the clocks change, Fire Kills uses social media to promote monthly humorous videos featuring unusual ways for testing smoke alarms. These have included use of a skateboard, a remote controlled helicopter and a human pyramid! Those people wishing to test their smoke alarms regularly can take advantage of Safelincs free smoke alarm reminder service and set their own pattern for having their memories jogged. We’ll send a reminder email at a frequency set by you. Smoke alarm ownership increased rapidly from 8% in 1988 to 70% in 1994 in England, and has continued to rise and it’s now over 88%. However, it’s crucial that they are tested regularly and the batteries changed each year (unless the smoke alarm is a ten year alarm with a sealed-in battery). In the wake of government cutbacks, up to seven Merseyside fire stations have been threatened with closure. 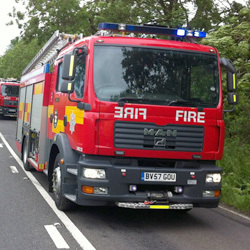 The closure plan – which will lead to 100 firefighter job losses as retiring staff are not replaced – is expected to save £3.4m in 2015/16. Many other areas are facing similar cuts as austerity measures continue to bite. At the beginning of the year Britain’s oldest fire station, in Clerkenwell, closed along with nine others in the London area. London Fire Brigade is cutting 552 firefighter jobs and reducing the number of fire engines by 14, saving £45m over two years. London Fire Brigade said the cuts will not affect the service it provides because the number of fires has fallen by 50% over the last 10 years. Improvements in passive fire protection such as fire resistant soft furnishing and the reduction of the number of smokers as well as changing diets with less deep fat fryers and fat being used have played important roles in this improvement. 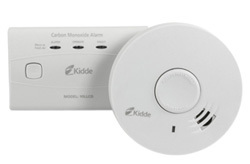 The widespread installation of smoke alarms and the early warning these give have also had a major impact. Smoke alarm ownership increased rapidly from 8% in 1988 to 70% in 1994 in England, and has continued to rise in recent years to 88% in 2011. However, whilst only 12 per cent of dwellings report not having a working smoke alarm in England, more than one third of fires occurred where no alarm was installed. There were also numerous cases where fatalities have occurred despite smoke alarms being present, however, they either weren’t working or the batteries had been removed. This emphasises how important it is to regularly check that smoke alarms are actually working by pressing their test button. Safelincs provides a free service to regularly remind householders via email to check their smoke alarms are working. Having a working smoke alarm is, however, only the first step. Without having the ability to extinguish a small fire, even an early detection will not stop a building burning down. Portable fire extinguishers can be used to tackle small fires at an early stage, as long as the right medium is used. In domestic situations Safelincs recommends the innovative water mist extinguisher which works by creating a very fine ‘dry’ mist which can be used on just about every type of household fire including electrical and deep fat fryer fires – with absolutely no chemical residue. The authorities are adamant that the fire service cuts will not affect response times but the cutbacks will have acted as a wake-up call to many to enhance their domestic precautions. Following the success of our first aid section, especially of our defibrillators, we have introduced a new medical emergency product range – Oxygen Care. Oxygen is essential for our bodies to function correctly. A wide range of injuries or illnesses such as asthma, near drowning, cardiac problems or smoke inhalation restrict this critical oxygen supply, and within just 3 minutes of starving vital organs, irreparable tissue damage can occur. 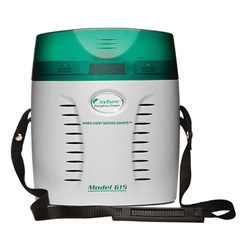 OxySure then provides a 15 minute supply of medically pure oxygen. This instant supply of oxygen helps to bridge the time gap until first responders arrive. OxySure uses a revolutionary non-compressed technology, in which two inert powders, contained inside a disposable cartridge, are stored separately until the moment of activation. Once the knob is turned, the powders are combined to create medically pure oxygen. After use, the cartridge can be safely disposed of in regular household waste and a replacement cartridge is inserted. Without the need for traditional pressurised cylinders, OxySure creates no fire risk or explosion hazard, and is safe to store in any indoor or public access location including the home, offices, sport centres, schools, restaurants, airports etc. OxySure is there to help from the onset of a medical emergency. 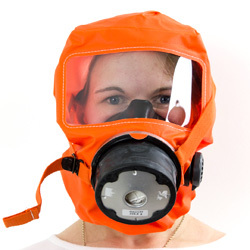 It provides lifesaving oxygen when you need it most until the arrival of the emergency services. To find out more about OxySure, please visit our website or call 0800 612 6537 and our friendly customer services team will be happy to help. Northumbria University, home to over 35,000 students, has rapidly expanded over the last few years. Trinity Square student accommodation, part of the university completed in 2014, has been one of the largest building projects outside of London. 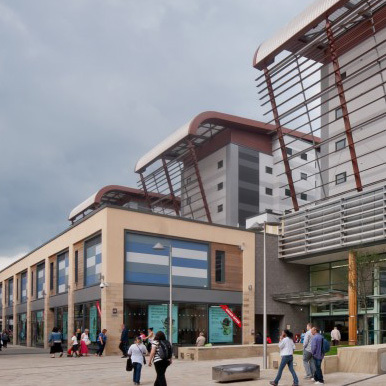 Trinity Square can house over 1,000 students and offers a choice of studio apartments and accessible bedrooms. This complex has over 300,000 square foot requiring over 4 800 emergency and standard lights throughout the building. 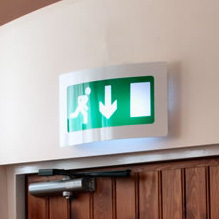 The emergency lights were required to illuminate exit routes and comply with BS5266-1 : 2011. As energy efficiency and sustainability were major considerations, all lighting systems had to adhere to strict efficiency specifications while remaining within a clearly defined budget. Round slimline emergency lights XL and models of the same with LED were installed in bedrooms, staircases and corridors throughout the complex. The units were supplied with a purpose made tray designed specifically for the Trinity Square lighting system. The bedroom lighting had to fulfil comfort and diffusion standards to CIBSE recommendations. The lighting units were therefore fitted with special diffusers to improve light transmission and to ensure wellbeing. Despite using 26W lights instead of the standard 28W in the non-LED lights, the light transmission was increased by 54% compared to standard lights with standard opal diffusers. Well balanced light significantly improves concentration and reduces fatigue.